Curb Appeal is about first impressions does your home make a good one? The single largest component of your home is its exterior. Faded and peeling paint aren’t exactly a good. You can of course paint every few years but vinyl siding is virtually maintenance free. 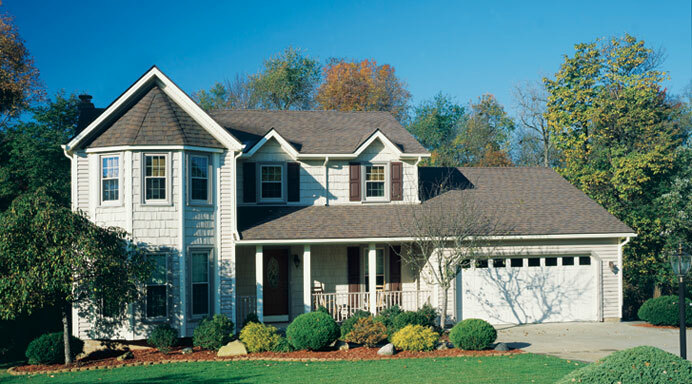 With the occasional hose down vinyl siding can maintain its look for decades. In addition it comes in a variety of styles and colors. With vinyl your home looks its best day after day. Windows from a style perspective can set the tone of your homes appearance. Replacing your old windows can truly revitalize the look. Windows have a variety of options: style, shape, color and decorative elements like grids. Make your windows stand out and be dramatic or just have them shed that dated look. In addition to a punch of style updating older windows can save you money on your energy bill and protect your belongings from sun damage. Think of design elements as that little something extra added to features of your home to enhance them. Many of these elements have to do with your windows or doors as they are locations that stand out. They add interest and style to your window or door openings. They can be one element like shutters, or an entire grouping of elements like wraps, headers, footers, pilasters etc. Changing out your front door can be a dramatic change. Your entry area greets your guests. Is it inviting? Does it have character? Is it impressive? All these things can be achieved. There are many styles, colors and features to consider to suit your new updated entry area. You can even expand your entryway with a matching side lite, extra sized door or double doors to make an even more dramatic change. Many homes start out with a rather generic garage door. So this area is perfect area to update. Garage doors take up a lot of surface area so changes here will definitely get noticed. Change your standard door to a faux carriage style or simulated wood, keeping all the ease and functionality of a standard door while gaining the bump in curb appeal with the enhanced appearance. The first rule of landscaping is keeping it maintained. If your yard looks like a jungle it won’t reflect well on your home. The second would be to not let it overpower or hide your home. Overgrown or incorrectly sized plants detract from your home. Your home is your castle. Show it off. If any of these projects is appealing to you don’t hesitate to contact K-Designers at 800-728-3902 or visit us online www.k-designers.com and we’ll walk you through all of these options to make your remodeling project a success. Author fsparks2014Posted on December 8, 2014 December 2, 2014 Categories UncategorizedTags curb appeal, remodelingLeave a comment on Curb Appeal is about first impressions does your home make a good one? Are newer windows more efficient than older ones and why is it important? Blinds and Shades are the same aren’t they? K-Designers Home Remodeling Create a free website or blog at WordPress.com.